You know what's awesome? When I have a comic done the day after my last upload! I really like this one so I couldn't wait to put it up. Enjoy! 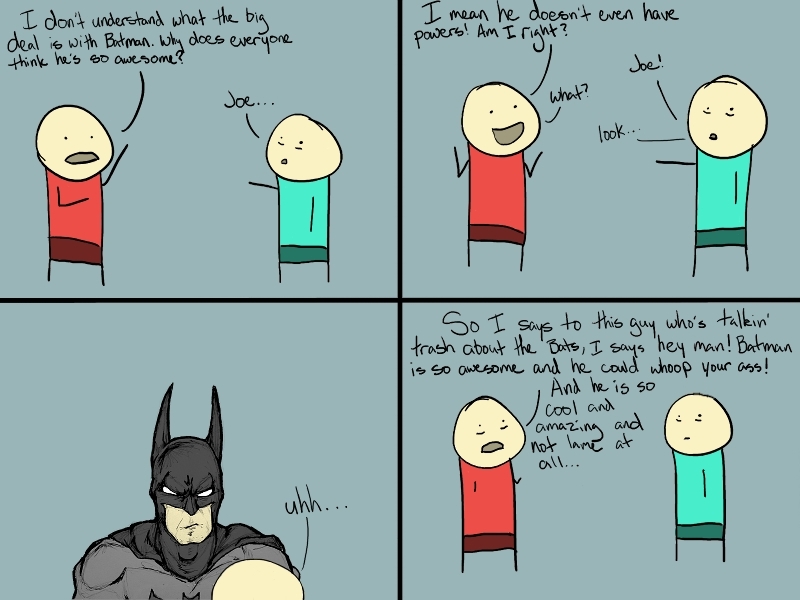 Yeah, that batman is awesome! And I love the expressions throughout.